- Next Level Ladies 4.3 Ounce CVC Crewneck T-Shirt. - 32 singles, 4.3 ounce. 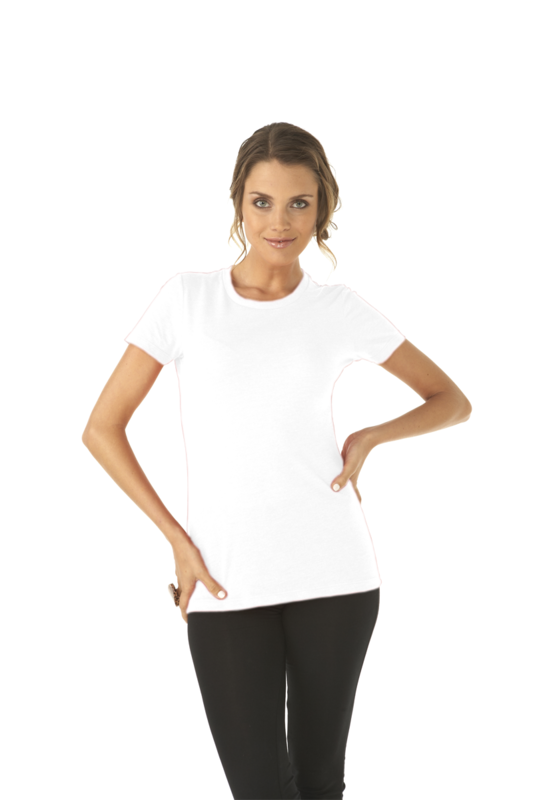 Next Level Ladies 4.3 Ounce CVC Crewneck T-Shirt. 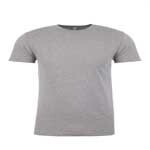 60/40% combed ring-spun cotton/poly jersey short sleeve crewneck tee. 32 singles, 4.3 ounce. 1x1 baby rib set-in collar. Tear away label. Sizes XS-3XL: White, Black, Charcoal, Dark Heather Gray, Hot Pink, Lush, Midnight Navy, Military Green, Raspberry, Red, Royal, Turquoise. Sizes S-2XL: Apple Green, Banana Cream, Bondi Blue, Cream, Espresso, Ice Blue, Indigo, Kelly Green, Light Olive, Lilac, Mint, Orange, Plum, Purple Berry, Purple Rush, Sand, Scarlet, Silk, Stone Gray, Storm, Teal, Warm Gray.